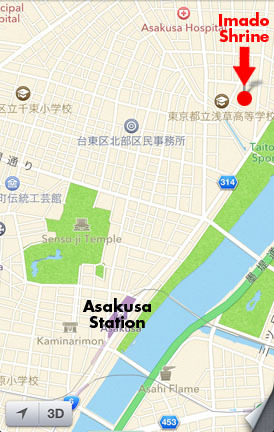 • Get off at the Asakusa Station (Ginza Subway Line). • Go out Exit #1 (Kaminarimon). • To your left you will see a big traffic-filled street. Go out to the street and turn right. 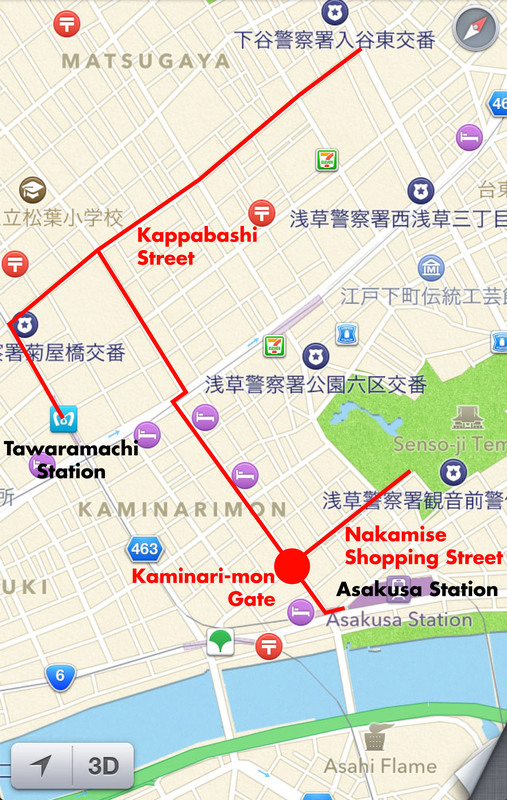 • In about half a block, you will reach the Kaminari-mon (Thunder Gate) that is the entrance to the Senso-ji temple. It has a gigantic red lantern hanging in it, and is flanked by big wooden statues of temple guardians. Beyond the gate is Nakamise-dori, a walking street lined with sellers of traditional goods that leads up to Senso-ji temple. Although this area was recently renovated, most of the shops have been owned by the same families and have occupied those locations for hundreds of years. • On the right, right next to the big red “Thunder Gate” where Nakamise-dori begins: a famous stationery store that has beautiful handmade and printed paper, and Japanese prints. 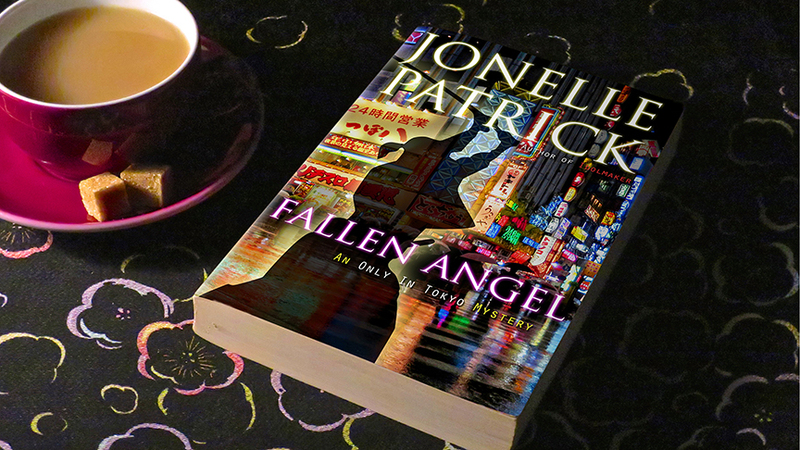 • Tai-yaki, which are traditional red-bean-filled pastries. • Rice crackers, made fresh by the stores that sell them. • Skewers of sweet pounded rice balls with salty-sweet sauce (mitarashi dango). The green ones without sauce are less sweet, the rice pounded with yomogi (mugwort). The yellowish powder is kinako, sweet roasted soybean flour. These skewers are a traditional festival food and are delicious. • On the last block, on the left: pictures showing the miraculous finding of the golden Kannon statue around which the temple was built. Straight ahead is Senso-ji temple. You will see a huge smoking urn for incense burning. If you like, you can buy a bundle of incense for 100 yen at the window to your right, light it in the burner near the window, then stick it upright in the giant urn. Waft the smoke towards you for good luck and good health. Feel free to go up the steps into the temple itself. You can’t miss the most gigantic collection box in all Japan: usually they are about the size of a steamer trunk; this one is more like a king-sized bed! •As you approach Senso-ji Temple, you’ll see the five-story on your left. 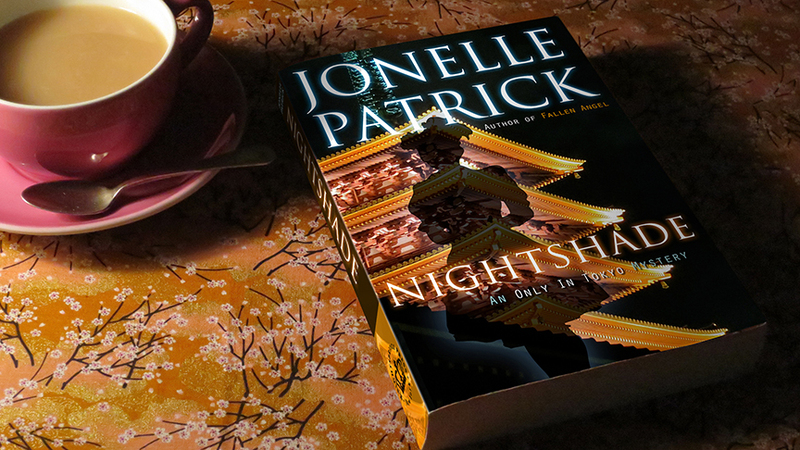 •As you pass the pagoda, turn left and follow the wall. Near the far end, you will see some steps going up to a door. 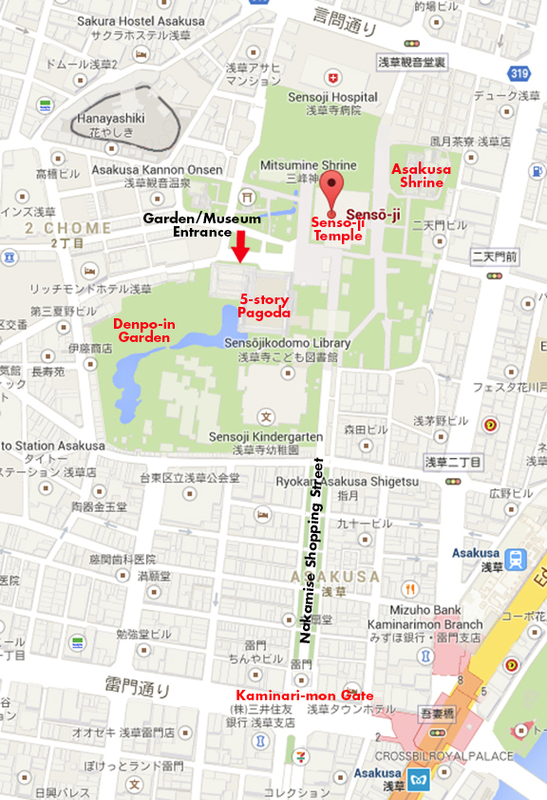 If Denpo-in garden and the giant prayer plaque (ema) museum are open, there will be banners flying advertising it. •Go up the stairs and buy a ticket at the desk right inside the door. •Walk through the museum and go out the back door to the garden. Return to Senso-ji Temple and find the little park with many statues in it, off to your right. Skirt around the statues to the left and you will see a little street which is parallel to Nakamise-dori. Go down this street. • On the corner to the right: the o-matsuri (festival) store, selling every item you need to participate in a festival – happi coats, belt ties, headcloths, straw sandals, etc. Videos of past festivals are always showing, to give you an idea of how the goods are used. • On the right: a very low-key shop selling geisha make-up. You can tell by the wide white brushes displayed in the little window. • On the right: Fujiya – a tenugui (traditional hand towel) shop with designs nice enough to frame. They are all designed by Keiji Kawakami, who has been designing them for 48 years. Each design in the store is unique to Fujiya. Some patterns were revived from Edo-era ukiyo-e woodblock print designs. • On the left, at the intersection where the street grows wider: a noren (traditional door curtain) shop with handpainted and hand-dyed noren nice enough to hand on the wall like a scroll. • On the right: a little traditional goods shop with many little handmade trinkets in it and a display showing how kimono cords are woven. • On the left: a soba (buckwheat noodle) shop with a big window in front. A chef may be rolling out soba noodles as you watch. • Across the little street from the ceramics store: Maguro Bito, my favorite kaiten (conveyor-belt) sushi place in all of Tokyo. There is usually a line for this place that extends outside onto the benches next to the door. Don’t be discouraged: it moves fast. When you get inside, you move to the benches lining the wall and scoot along until space opens up for your party. A host/hostess with a clipboard will ask your name and how many are in your party as you come through the door, and will seat you in front of the conveyor belt as seats become available. The sushi here is not only fresh, it’s extremely varied and inexpensive. You don’t have to speak Japanese – just pick the dishes that tempt you off the belt as they parade past. There is a hot water spigot sprouting from the counter for tea; the teacups move past you on the lower conveyor belt and the teabags are in a box sitting on the counter. Help yourself. You can also order beer. When you’re done, the waitress will come with a magic electronic wand and tally up your bill by running it along the stack of plates. Prices vary according to the color of the plate’s rim (there’s a convenient chart on the wall). Pay on your way out at the cash register to the left of the door. •Go back to the main street and walk back toward the Kaminari-mon (the big red Thunder Gate that that marks the entrance to Senso-ji temple.) Keep walking along the street toward the river. This street leads to a bridge. • As you face the bridge, the waterbus ticket booth is to your left, next to the bridge. • You will see a schedule in English right near the ticket windows. Buy a one-way ticket to Hinode Pier (near Hamamatsucho Station, on the JR line). • After you have your ticket, stand in line around to the right of the booths. 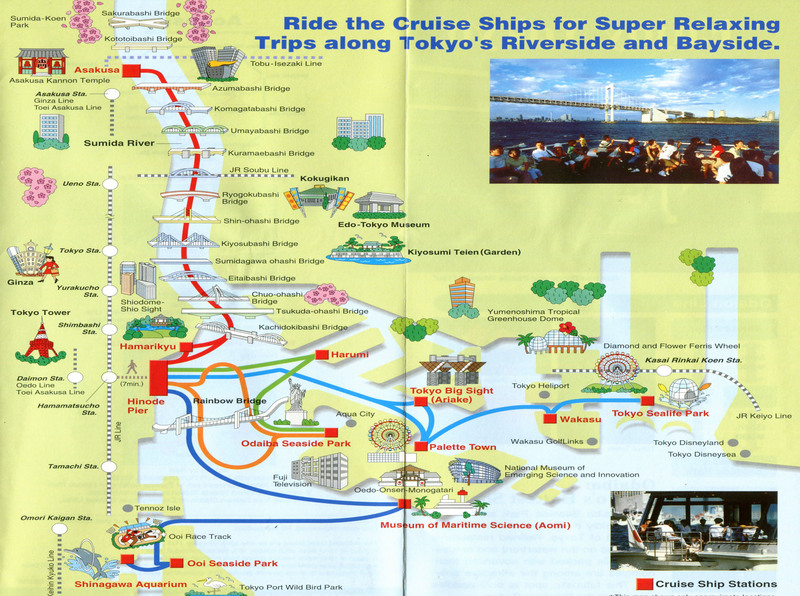 From the Hinode Pier, you can get on other waterbuses to take you to Odaiba. • Get off on the stop before Hinode Pier (they will dock and announce the stop). • Buy a ticket to the gardens at the booth at the end of the pier (¥300 per person). • Stroll through the gardens. If the teahouse is open and still serving tea, you can get a bowl of thick tea-ceremony-style whisked mattcha and a seasonal tea ceremony sweet for ¥500.